As Mad Men comes to a close, with the second half of the final season debuting April 5, The Hollywood Reporter has an in-depth profile that charts the history of the series. Mad Men truly put AMC on the map when it first debuted back in 2007, but the show's legacy was somewhat marred by a lengthy contract dispute between series creator Matthew Weiner and the network that resulted in a 15-month hiatus between Season 4 and Season 5. Lionsgate COO Sandra Stern revealed to THR that, not only did AMC want to shorten the episodes and cut the cast by 30%, the network was also interested in spinoff shows that followed Peggy Olson (Elisabeth Moss) and Sally Draper (Kiernan Shipka). Here's what Lionsgate TV COO Sandra Stern had to say about the spinoffs. "When we first started negotiating with AMC, one of the things they wanted was a spinoff. We talked about doing a contemporary one. Given the fact that [Mad Men] ends nearly 50 years ago, most of the characters would be dead. Sally was the one character young enough that you could see her 30 or 40 years later. There was a time we wanted a Peggy spin­off, too, and, a la Better Call Saul, a minor character going off to L.A. Matt wasn't comfortable committing to a spinoff." Naturally, AMC moved on and ended up signing Matthew Weiner to a three-year contract that would allow him to close out Mad Men after seven seasons. However, since AMC has seen success with their Breaking Bad spinoff Better Call Saul, and The Walking Dead spinoff currently in production, the network is clearly keen on extending their shows beyond traditional means. Of course, the creative forces behind both Breaking Bad (Vince Gilligan) and The Walking Dead (Robert Kirkman) are actively involved in the spinoffs, but it seems that Mad Men's Matthew Weiner is not keen on developing a spinoff for his beloved series. 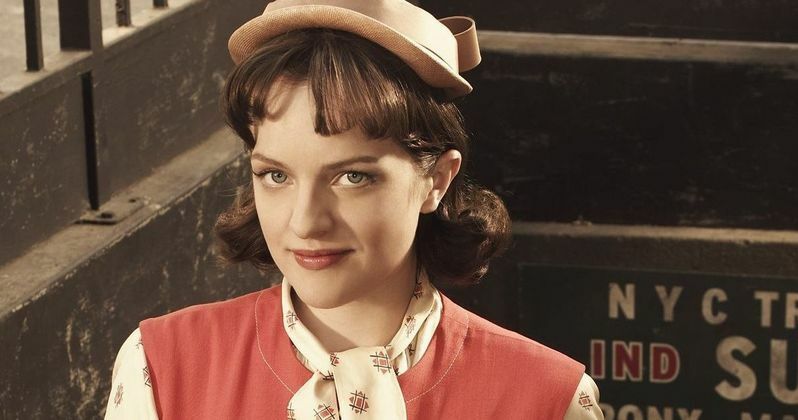 It's always possible that Matthew Weiner could have a change of heart, and commit to a Peggy or Sally spinoff, but we'll have to wait and see. Until then, fans still have seven more episodes of Mad Men left, starting on Sunday, April 5. Would you tune in to see the continuing exploits of Peggy Olson or Sally Draper? Let us know what you think below.